We’ve had the most perfect weather, this week, since ‘spring’ began. Posting is already becoming an obstacle, because I really want to spend some time savouring the sun and seeing all the people I missed to see all winter long. This weekend is an extra long one, here, and in many other countries, I suppose. I’ve spent some time visiting with family and eating all kinds of food. Eating is ‘my favourite pastime” what about you? 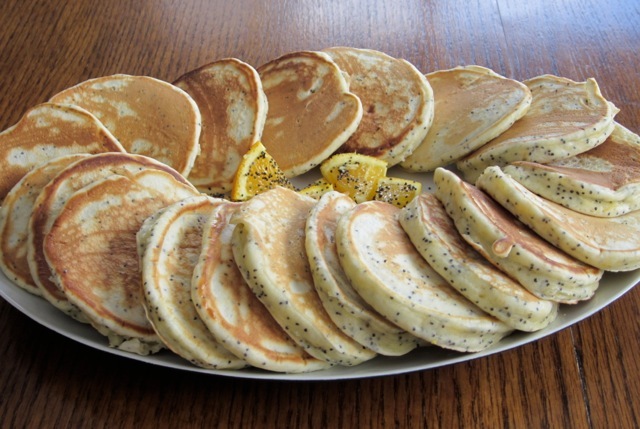 I had some poppy seed pikelets on Friday morning, for breakfast. 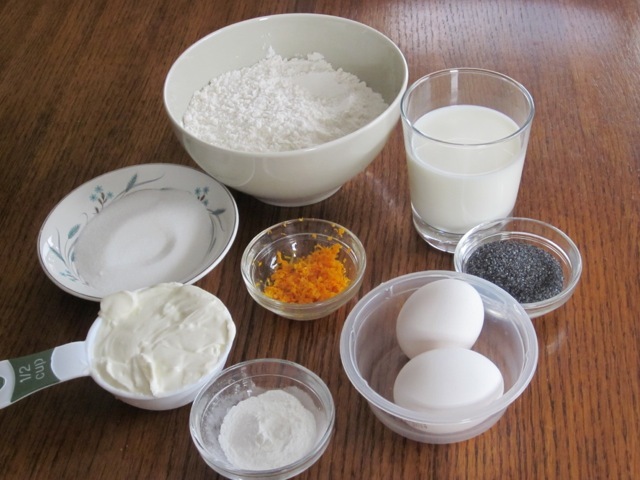 Poppy seeds are used whole or ground, as an ingredient in foods, in many parts of the world. They are described as nutty and aromatic in taste and are a good source of essential minerals like calcium, phosphorus, iron and zinc. They, however, have very high oil content, so if not stored properly tend to develop a rancid taste. Last summer, a friend of mine, from Tel Aviv, made some poppy seed ice cream. She used twice ground poppy seeds. The colour looked gross, but it tasted extra special. She served it with some homemade chocolate sauce. I really enjoyed eating it. 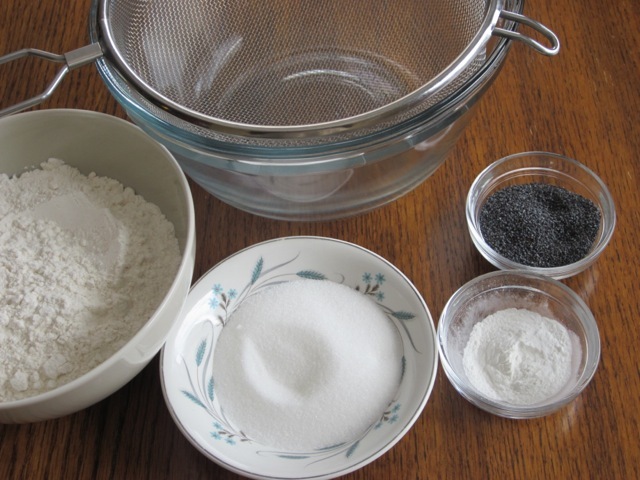 Do you use poppy seeds to cook or bake? 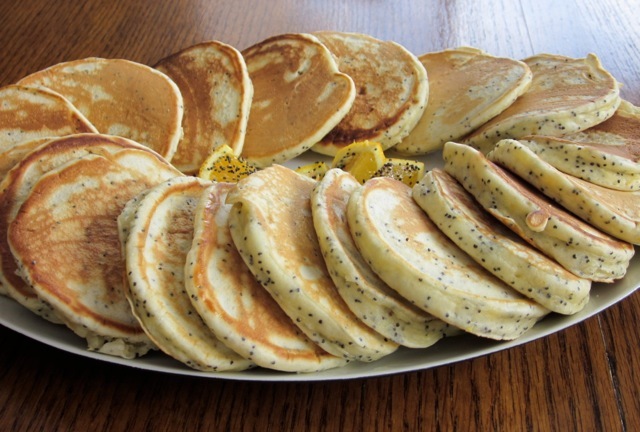 I hope you enjoy looking at the pikelets. They tasted awesome. 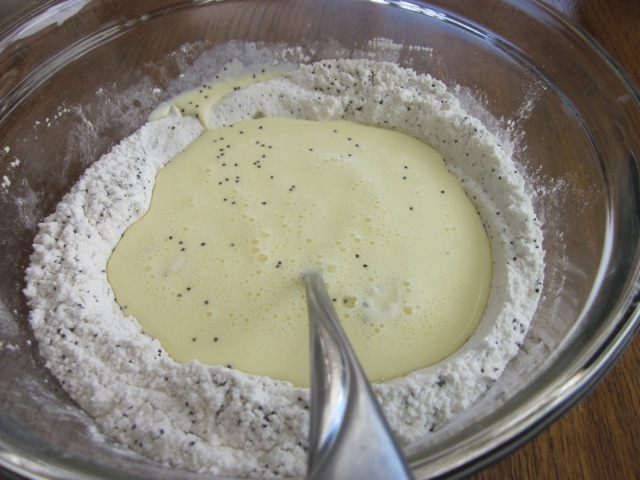 Sift the flour, baking powder, sugar and poppy seeds into a bowl. Stir in the orange rind and make a well in the centre. pour the mixture into the well and mix with a wooden or metal spoon until just smooth. 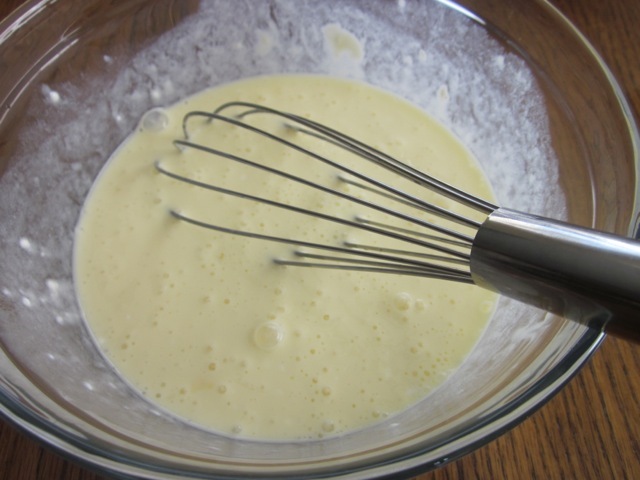 Add more milk, if necessary, until the batter has a dropping consistency. Heat a non-stick frying pan over medium heat and brush lightly oil. Drop heaped tablespoons of the batter into the pan, allowing a little room for spreading. Cook the pikelets over moderate heat until bubbles appear on the surface and the underside is golden. Flip the pikelets over and cook the other side. Transfer to a plate and cover with a tea towel to keep warm while you cook the remaining batter. 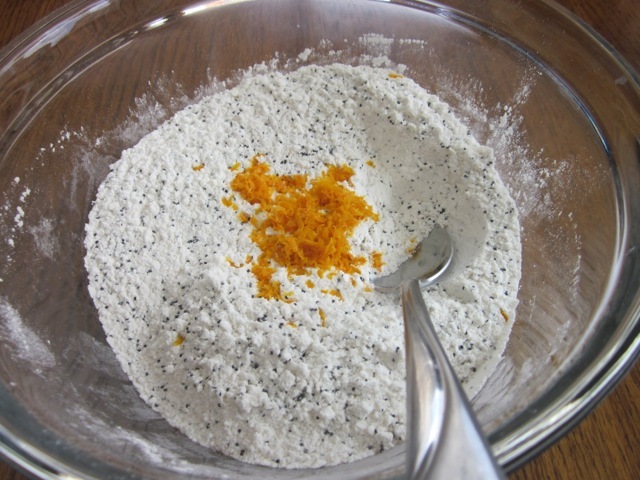 Sift the flour, baking powder, sugar and poppy seeds into a bowl. Stir in the orange rind and make a well in the centre. 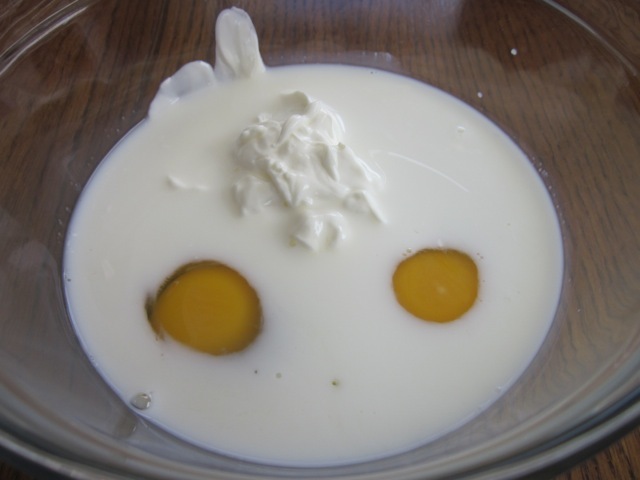 In another bowl, whisk together the eggs, sour cream and milk and pour into the well. Mix with a wooden or metal spoon until just smooth. Add more milk, if necessary, until the batter has a dropping consistency. My cousin cooked breakfast for me on Easter morning. I wish I had seen your recipe earlier but I was offline for a few days. Anyway…..he made us pancakes (from a mix) with ham and eggs. I was in heaven! When I get home I will try the pikelets. These are very popular in New Zealand and Australia! I have made them in the past but not with this combination! Poppy seeds just give recipes a bit of a lift don’t they? It grows hotter by the day here. We will begin our journey northwards to home at months end. Glad to hear your weather has improved. Enjoy it all!!! Wouldn’t I love to have a cousin like yours? and to think he is a “he” I love pikelets because they are so easy to make and you can add different ingredients and make them savoury or sweet. It’s always growing hotter by the day here, soon you’ll be having the second phase of heat. Anyway I hope you enjoy the rest of your trip. Best wishes to you and your family and friends! I wish you all the best in trying. Lime and lemon are even better. How is life, Hari? Have a pleasant week! We are in the weather changing time of the year – it is called as Pancaroba in Indonesian. The weather keeps changing the whole day. Weather forecast is pretty much useless during the pancaroba. Oh yes Hari. our temperatures are now at about 10C. the other day it went as high as 17C so I’ve stopped complaining. Thanks for teaching me about Pancaroba. One day I hope to visit Indonesia. You have made me so curious. Have a wonderful day. I am sure the new day has dawned for you! “Pikelets?” Never heard the term. Pancakes, I assume? They look fabulous! And perfect for the citrus capital of the universe. I’ll be making some this week. Off to the grocer for Deerslayer’s favorite, poppy seeds. Thanks for a great recipe. Mini pancakes, very tender and fluffy. I hope you made some this week. Is the hunting season over? Have a pleasant week! Ha ha I’d never heard of it too until my friend made it. It tasty nutty, earthy and fresh. Have a wonderful week! I thought you stopped eating altogether but I’m glad to hear you at least, let go sometimes and eat…one dinner at 5 and another one at 9..how hilarious! Happy healthy eating! No, really!?! Do I give that impression? I love to eat – there are very very few days that food is only just a bit of fuel to me. Granted I also like keeping my shape so I balance out my passion for food with healthy home cooking experiments. I guess I just try to eat as much fabulous, tasty food as possible without scarificing health and shape…..
Wow, Liz, I think pancakes, crumpets & pikelets together with blueberry muffins and apple pie are my favourite comfort foods ever. 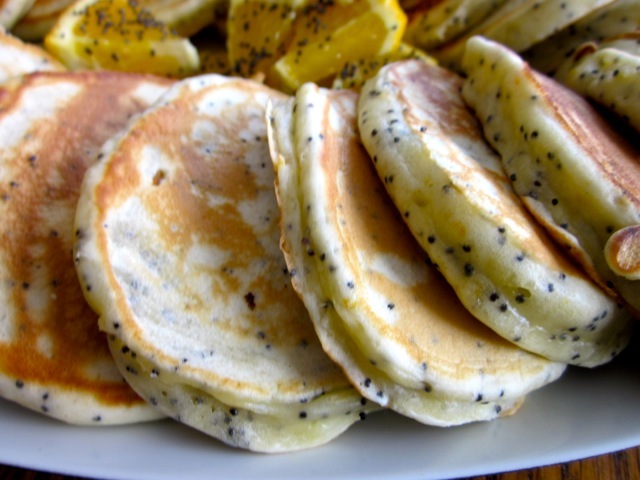 These with orange grind and poppy seeds look simply delicious. Besides, sour cream makes everything better! Thanks for visiting me. I love pikelets because they are so easy to make and you can have them in different flavours. Have a lovely week! Oh my those look wonderful? Are they like pancakes? I love poppyseeds! thank you. I love pappy seeds too! Now you have. I hope you liked it. These look wonderful! I love poppy seeds in things. I have never heard the term “pikelet” for pancake. Yours look delicious with the poppyseed. I notice you are very weather-focused, as our family was when we lived up North on the lake. Enjoy the sun and warm temps of spring! 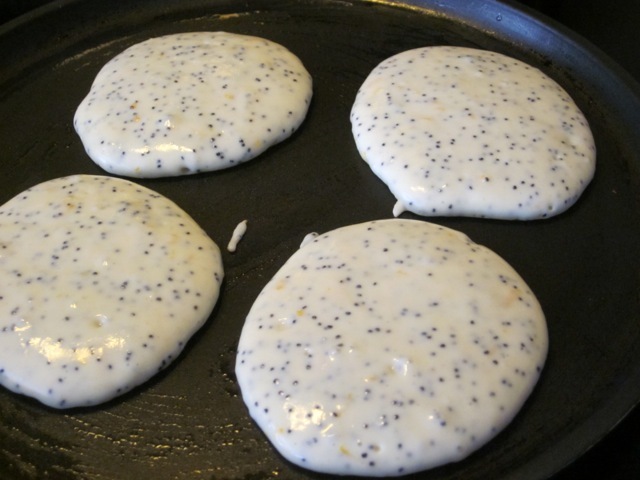 I never knew poppy seeds were so good for you!always love the informative side to your blog! And love poppy seeds by the way! Poppy seeds are very nutritious and delicious too. I love baking with them. The end result is always so good! Enjoy the weekend! haha I can’t believe I can have a lie in in the morning! Do you think you could come over about 11 n cook me some of those for breakfast in bed! I sent them right over by mail. Did they arrive??? I hope your enjoyed breakfasting in bed! Best wishes! Yum mum they were delicious , thank you so much, next time if you could look after the four kids while I sleep in that would be great! Ha ha so you have four like me…my first two are grown up. I don’t even see them anymore. I have two with me now. I can send the four of them to babysit for you. But you will have big mouths to feed…enjoy your week! Beautiful! Those poppy seeds pop out! I love orange and lemon in desserts! 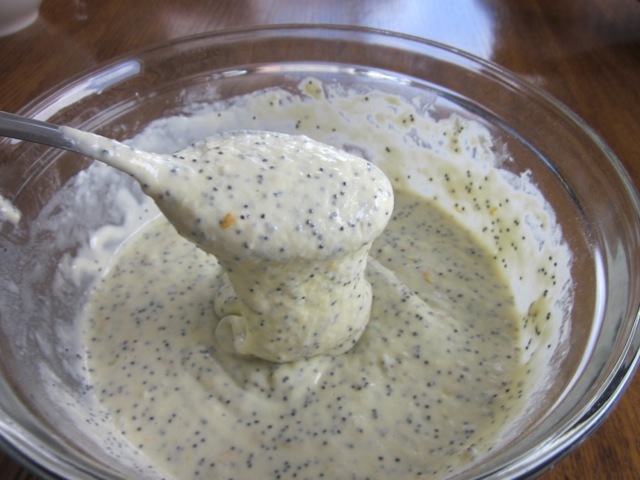 Lot of Indian cuisines use poppy seeds, soaked and then made into paste! I have used it few times :). Gives a nice smooth texture to the curry along with an intense taste :). Share with me some recipes. I’ve never used poppy seeds to make paste. It must taste good though. I can only imagine! Hope you’re enjoying your weekend! Liz, recently I had posted Paneer Mughlai on my blog! It has poppy seeds(white), cashew and almond paste! In general, when you make any rug curry like korma etc, you can soak the poppy seeds for few hours in warm water and the grind into paste and use 1-2 tbsp in any curry preparation :). I hope that helped! Will pair more recipes soon but a famous Indian recipe made with poppy seeds is Aloo Posto, where aloo is potato and posto is Poppy seeds. It requires a basic tomato onion gravy base. Add poppy seeds paste, Indian spices and either small whole potatoes which are forked, OR, big chunks of potatoes and cooked together till potatoes are tender! Thanks, I’ve seen the recipe for Paneer Mughlai and copied the list of ingredients. I shall make it any time this week and let you know the outcome. Thank you so much for sharing so much information. Maybe next time I shall make Aloo Posto. I love Indian food. Best wishes! Hey Judie, those pikelets of yours are a hit. You’ve left my mouth watering!!! Ha ha I contemplated doubling to four tablespoons. Never mind there is always a next time! Best wishes! That sounds absolutely delicious. Buttermilk is a magic ingredient that makes pancakes fluffy and irresistible. Please send me two of the six…enjoy your weekend! Omg, thank you so much. But how do you share three equally? Cut them into smaller pieces in a number evenly divisible by number of diners, then distribute! I think mine today were more like pikelets than pancakes, as they are quite thick and fluffy. Can’t tell exactly from the picture, but they were maybe 3/8 to 1/2 inch thick – light, fluffy, yummy. You’ll see when they get there! Oh I am waiting with an open mouth and lots of expectation. Thank you. Best wishes! These look absolutely wonderful. 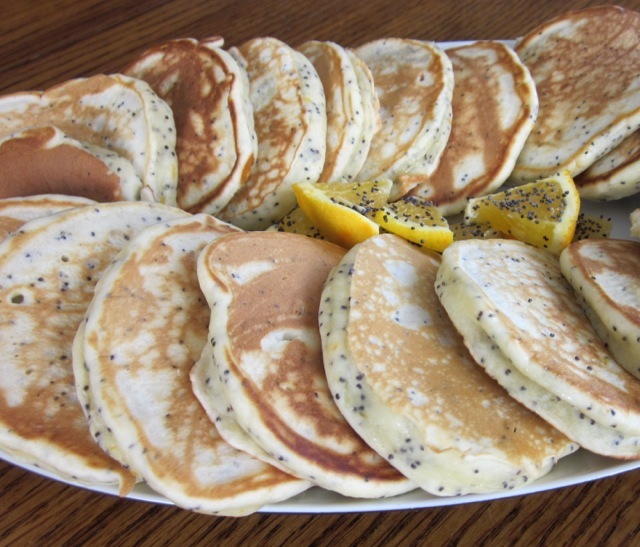 I love poppyseed muffins, bagels, cakes, pancakes…. The list goes on. This is actually similar to a recipe I am testing out. Will have to rework mine a little. Enjoy the rest of your long weekend. I am enjoying mine too….I had to have a bite of each of my five birthday cakes. They were all the same, just differing decorations, but still, it was my job to sample them all! Liz, could you explain what a Pikelet is? I am not familiar with it. Looks like a pancake, but I assume there is a difference. It’s really more like a pancake but the consistency of the batter thicker and they are much smaller in size. You can make them savoury or sweet with different fillings. The savoury ones i also have for a light lunch or snack. Pancakes are mainly for breakfast. 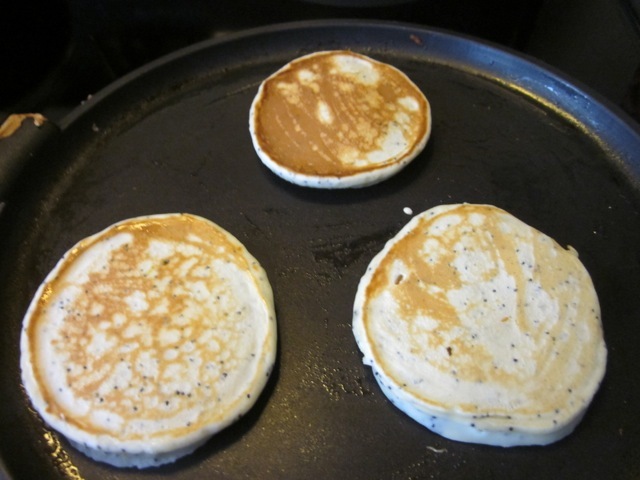 They are more like drop scones…hope this helps. The link you give here leads to an empty blog. is that where I’m supposed to land? (Pets to Go). Have a lovely weekend! Sorry, the Pets To Go blog was a practice blog I did when I took a WordPress class. It somehow went public and I can’t delete it. Thanks for the info on the Piklets. I may have to make some. Okay thanks and have a great week! Thank you Raph. Do you not consider yourself a King? I do consider myself a queen…of my heart. Have a lovely Easter Sunday too! Ha ha Ralph you make me laugh! What are you eating for Easter??? Yes. She still is. Late tonight as they went to a nearby village to watch a bull run. I refused to go as I don’t like what the bulls go through. The meal arrived 20 minutes ago. 11pm. For starters pasta and egg. Main course chicken & fries. Locally homemade bread. And a pear to finish. Natural orange juice. Different every night. You see, Ralph, you live like a king…I envy you!